"In a modern military conflict, as we can see from the military actions in Ukraine and other hot spots, effective artillery is one of the key pillars of defense and, at the same time, of deterrence," Deputy Defense Minister Giedrimas Jeglinskas said in a press release. 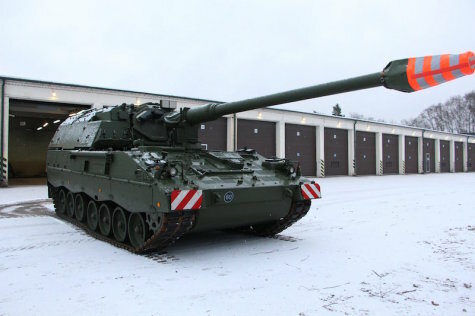 "These fully upgraded armored heavy tracked self-propelled howitzers will undoubtedly strengthen the Lithuanian Armed Forces' defense capabilities", he said. Lithuania purchased the howitzers from Germany under a contract signed in September 2015. Based on the contract, a total of 18 upgraded howitzers are planned to be delivered to Lithuania by the end of 2019 and will cost it around 60 million euros.